As with many franchises in the video game industry, entries in a long-running series end up taking many different shapes and forms. Capcom’s Resident Evil series is a perfect example of this diversity, as very few of the numbered titles are as derivative from the previous entry. With Resident Evil 7, there was a large leap for the franchise within its new engine and gameplay mechanics. Something that the most recent series entry, a remake of Resident Evil 2, seems to be borrowing from to bring a unique vision to a classic. 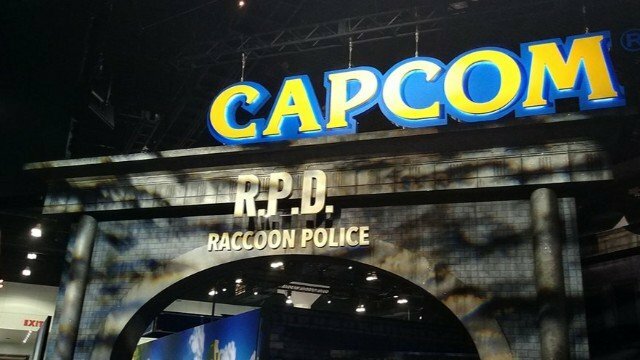 I had the chance to play a slice of Resident Evil 2 Remake this year at E3, but not without a Capcom representative handing me a flashlight and leading me to a dark hallway. While waiting in line to play Resident Evil 2 Remake I was fully expecting to sit down with the game for a brief while and possibly earning a shirt for my time. These expectations were thrown out of the window once I was in the narrow hallways of a reconstructed Raccoon City Police Department, forcing myself to move each step of the way out of fear. Actors playing zombies jumped at me from around the corner every chance they could get and I was armed only with a flashlight. If I hadn’t played the entirety of Resident Evil 7‘s story mode in virtual reality, I would not have been emotionally handled to go on the journey. However, I can attest that I eventually made it through, and was met with applause for my bravery and a demo station with an Xbox One controller ready. While it was only a 30-minute slice of the game (which you can see in our article here), I had ample time to check out the combat, inventory, and everything else that made the Resident Evil series a staple of survival horror. 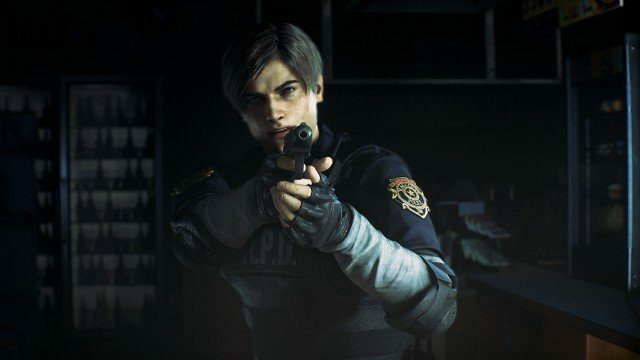 the first thing which you notice about Resident Evil 2 Remake is how similar it plays to Resident Evil 4 (one of the franchises most heralded entries). With a claustrophobic over-the-shoulder camera, I felt right at home with Leon Kennedy through the slice of his first adventure I got the chance to play. However, numerous additions to the game’s overall mechanics such as being able to move while shooting and an inventory-management system and UI taken straight from Resident Evil 7 made the experience fresh and streamlined. In reference to this being Leon Kennedy’s first adventure, he’s significantly different compared to his incarnation in Resident Evil 4. Kennedy is a timid rookie cop, it’s his first day on the job and his first experience with bioterrorism. Considering the revamps to the story, the stakes seem escalated when compared to the PS1 original, and Kennedy will be sure to go through some development as a character. Transforming him into the action-hero of the fourth game, the character I got to interact with was a wounded police officer named Marvin Branagh. A character which those familiar with the original game, know of as the first person you see the T-Virus physically manifest. The voice-acting and facial capture technology make the interactions between Branagh and Kennedy elevated, and it’s a telltale sign that the game will have consistently great presentation when it comes to retelling its story. 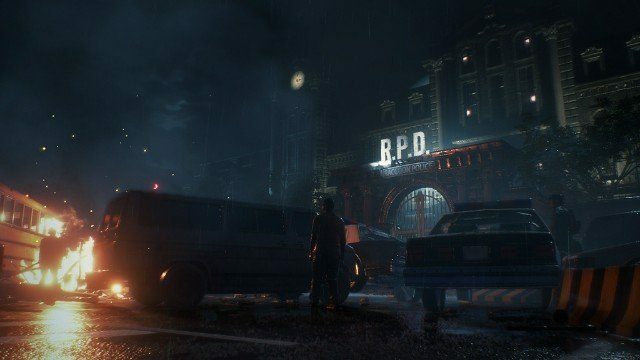 When speaking of the technology in the game, the facilities of the police station in Resident Evil 2 Remake are in a contrast to the various southern mansions found within Resident Evil 7. Utilizing the technology in the RE Engine to render lighting in a way that makes you scared of what’s in the large and sprawling cathedral, forcing you to use your flashlight to see what is exactly in front of you. While playing the demo, there were the typical jump-scares with zombies clambering through windows, yet what most effectively sent chills down my spine was seeing the animated corpses rise from the darkness and clamber over to Leon. It really shows the versatility of the game’s engine with how effective the atmosphere is able to be portrayed whether through a third-person or first-person viewpoint. Considering the shooting mechanics as well, the return of zombies showcased the different physics that the game is incorporating with the more fragile parts of their anatomy. In my demo, I was able to specifically shoot off limbs to the point that gravity would eventually take over an individual zombie’s arms would fall off as they would still come to attack. 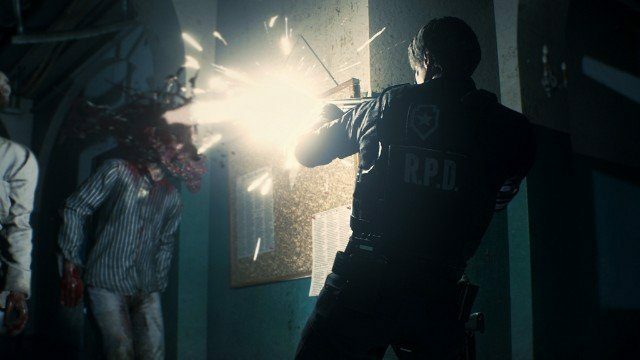 Overall, Resident Evil 2 Remake has me more excited than most of the games I was shown at E3 this year (and it’s not just because Capcom inflicted me to real-life horrors). The remake is following in the stead of the critically acclaimed Resident Evil Remake on the GameCube, by utilizing technology to present a built-from-the-ground-up experience that reimagines every facet of the title it’s reminiscing of. 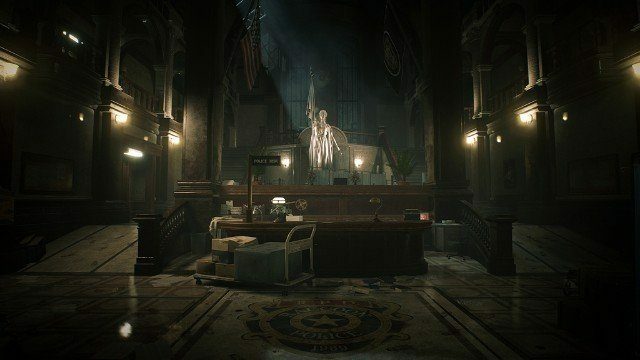 While I didn’t have as much time to complete the trademark puzzles, I was able to get a quick tour of the Raccoon City Police Department in its horrific beauty, and I’m excited to jump back in when the game releases January 25, 2019.